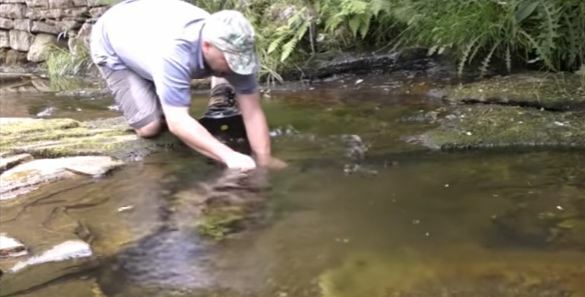 (Video) Every Prepper Needs to Learn This Crazy But Genius Survival Method Of Catching Small Fish! Brown trout or pink salmon. We do not really care which they are looking for but watching the fish being caught is where the fun is, for casual fishermen or survivalists! It’s not just nice to see a Dad get back to nature with his kid in tow, but these two are also working on a video project together while teaching we potential fishermen and novice tubers a lesson or two! It is inspirational and informative at the same time. Still, we would not have minded seeing them catch the fish and actually cook it. No, it is probably not necessary for the video but, when surviving, that is the point of fishing, isn’t it?